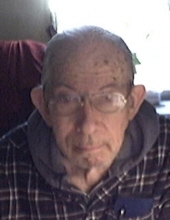 Ray Davenport, 83, of Chesapeake VA passed away on January 27, 2019. Ray is a native of Washington, NC, and was the son of the late Walter and Henrietta Davenport of Washington, NC. Left to cherish his memory is his wife of 54 years, Betty; son, Robert Davenport; daughter-in-law, Susan Davenport; granddaughters, Cassie Davenport and Gaby Davenport; all of Midlothian, VA. In addition he is survived by his sisters, Linda Easterling, of Washington, NC and Jane Kime, of Fayetteville, NC. He is also survived by his niece, Sarah Hammonds and nephew, Lloyd Smith, both of Washington, NC; and niece, Janelle Mangrum of Grovetown, GA.
A memorial service will be held at 11am, Saturday, March 2, 2019 at Raleigh Heights Baptist Church, 1000 Crowell Ave., Chesapeake, VA 23324. The family will receive friends for a visitation from 10:30 a.m. to 11:00 a.m., prior to the service at the church. A family reception will take place immediately following the ceremony. To send flowers or a remembrance gift to the family of Ray A. Davenport, please visit our Tribute Store. "Email Address" would like to share the life celebration of Ray A. Davenport. Click on the "link" to go to share a favorite memory or leave a condolence message for the family.